Publication Notice: This issue of The Remnant is dated July 31, 2015, and is currently in the mail. You can read the new issue online right away by subscribing to THE REMNANT E-EDITION. Please Note: July is one of the two months per year in which we publish only one issue of The Remnant. There was no July 15th issue. Michael J. Matt From the Editor's Desk: Southern Poverty Law Center Dissed by Far-Left City Pages. A Minneapolis magazine calls foul on the SPLC’s witch hunt for traditional Catholic ‘haters’. It's payback time, and you don’t want to miss this one! 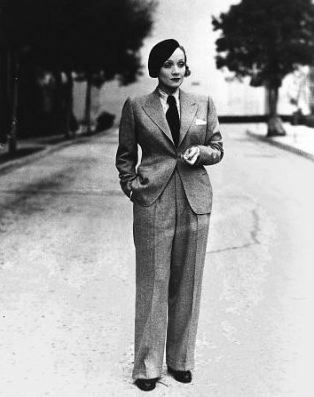 On the Origins of the Sexual Revolution: So why did Marlene Dietrich Start Wearing Trousers? Patrick Archbold Persecution Rising. Catholics in Iraq have lost everything-- their lives, their children, homes. Who's next and will the modern Catholic Church protect us, or turn us in to Big Brother? Father X Does Pope Francis Really BelieveTHE GOSPELS? So, what really happened with those loaves and fishes? John Salza Sedevacantism and Pope Pius XII’s Liturgical Reforms Here comes a curveball. Look out! Timothy J. Cullen Hope’s Two Daughters. Do you know their names, according to St. Augustine? If ever there were a time when anger is righteous for authentic Catholics, now is that time! Matt Briggs Archbishop Cupich Gives Up The Ghost What do you think the Catholic Church in Chicagoland is up to these days? If you thought saving souls, think again! Father Celatus The Last Word… The Chutzpa of Neo-Catholic Spin Doctors. Michael Voris said WHAT about Pope John Paul and his little Fr. Maciel problem? The Remnant Speaks A Spanish Priest on the Argentinian Pope; What about Garcia Moreno, Holiness?The Reckless Silence of Pope Francis; Muslims vs. the Koran?Stop the SSPX Bashing! Remnant’s Call to Catholic Action; Stay on Point, Remnant!